Have I previously mentioned.... I HATE PAINTING! 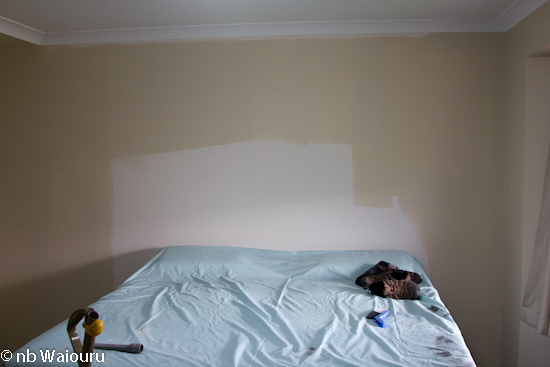 Well the bulk of the master bedroom has been painted. As part of this process I took down the awkward curtain rail in the bay window. Jan then washed the curtains whilst I did the necessary repair work before commencing the repainting. There are only two parts of the room that haven't been repainted. The wall behind the bed head will have to wait until we move the water bed. That is such a big task it will wait until the new air conditioning unit is to be fitted along with the new carpet. The patch where the original air conditioning duct came through the ceiling has now been plastered and sanded three times in preparation for painting. 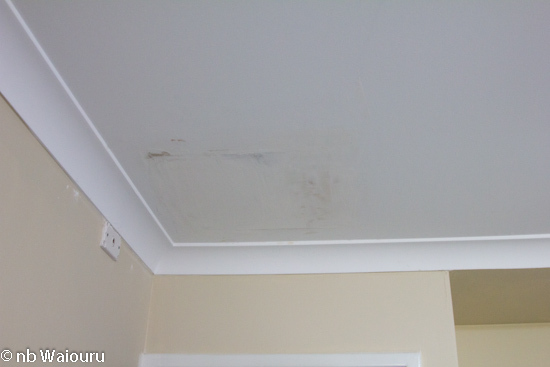 Another five ceiling vents need to be remove and the holes patched so I'm not going to do any ceiling painting until all the patches have been done. I've also been searching online for some flexible hose to use with the new dust extraction system in the shed. It's darned expensive if you buy hose from the specialist woodworking shops. however I may have found a solution. Swimming pool cleaner hose. It's about 20% of the cost.